Quaint, charming and filled with history, Brannan Cottage Inn portrays the sweet small-town culture of Calistoga. A 150-year-old attendant palm tree greets you at the entrance before walking up the steps where generations before have stood, including Brannan himself. The wrap-around porch and encompassing arches welcome you into an era of genuine hospitality. Friendly staff are at your service and the sitting room makes you feel like this is your home from another time, complete with maps of the original Calistoga, portraits of the Brannan family and an antique piano. The Inn is named after Samuel Brannan, the founder of Calistoga. Upon visiting the area, Brannan found the hot springs impressive. The hot springs’ healing powers were discovered by the local Native American tribe, the Wappos, while Brannan discovered them as a business opportunity. Brannan, California’s first millionaire had already gained fame by establishing the first newspaper in San Francisco. Known for his love of libations, Brannan shared his vision for the new land to be the Saratoga of California but slurred a mix of the two names, ultimately naming the Calistoga of Sarafornia. Brannan built a resort around the hot springs, which ignited the development of a civic-minded community, not to mention the wealthy who arrived by train to spend time in the country, away from city life. The allure of Calistoga as a getaway continues with today’s visitors, who make the pilgrimage by automobile for rejuvenation and restoration. Tradition meets modern-day comforts inside the unique Brannan Cottage Inn. In fact, the inviting blend of genuine hospitality and local influence is found throughout Calistoga. Highlighting the historic reality in the context of one of the world’s finest wine growing and geothermal spa regions makes this a destination point for a conscientious traveler. From California’s 1860s post-gold rush era, Brannan Cottage Inn is one of the only remaining functional structures in Calistoga. Today, the Inn retains its early purpose as a place for retreat; centrally located for downtown outings, fine dining, wine excursions, trips to the spa, and an overall sense of authenticity within the Napa Valley. Not only are we excited to announce Afternoon Tea as a new guest amenity, we’re thrilled to have this delightfully elegant experience featured in the September/October 2016 issue of The Tea House Times. 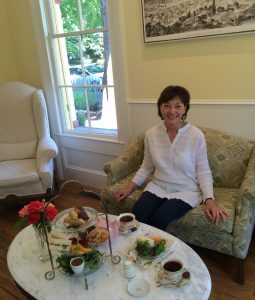 For more information on arranging a private afternoon tea experience during your stay at Brannan Cottage Inn, contact Kathleen Bakula, kathleen@brannancottageinn.com or call 707-942-4200. 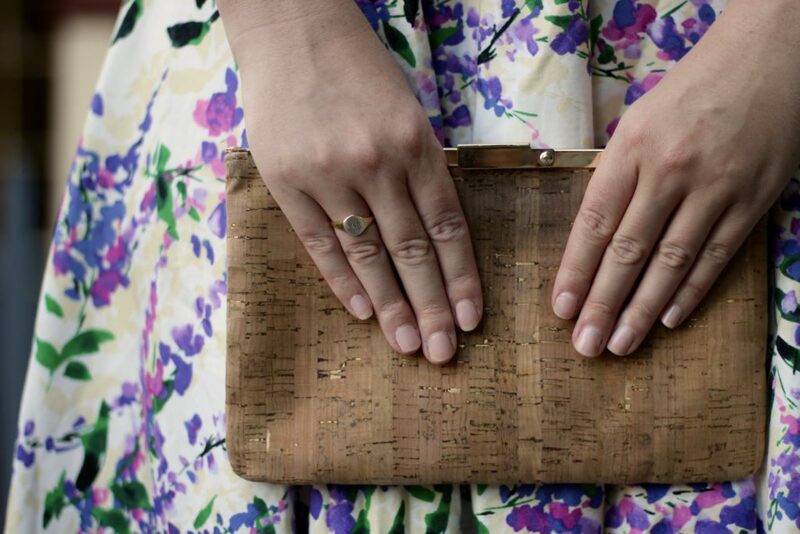 Kathleen Bakula of Mobili-T offers private afternoon high tea by appointment. In case I haven’t made it clear yet, Napa Valley might just be my favorite place on earth. It’s my happy place. 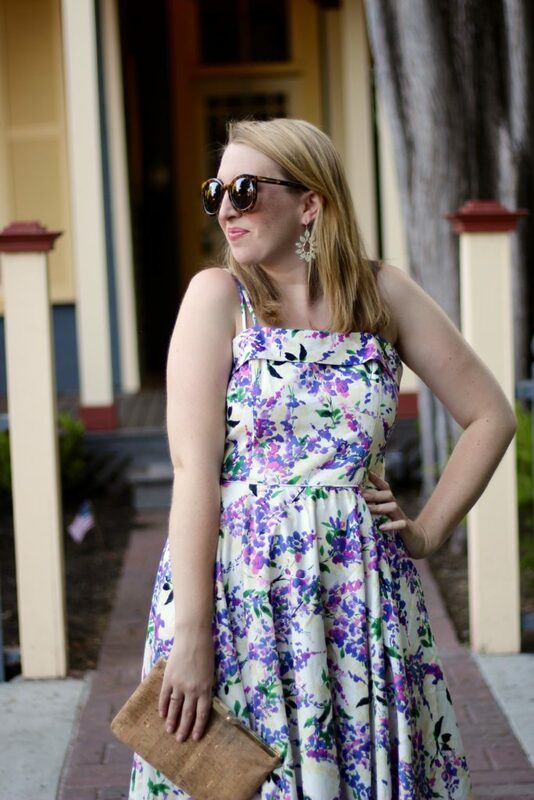 The perfect place to wear a watercolor dress, a maxi dress, or a ginormous hat with a big, fat bow. My recent trip was my third trip in a year and a half to wine country, and my first-ever trip to Calistoga. 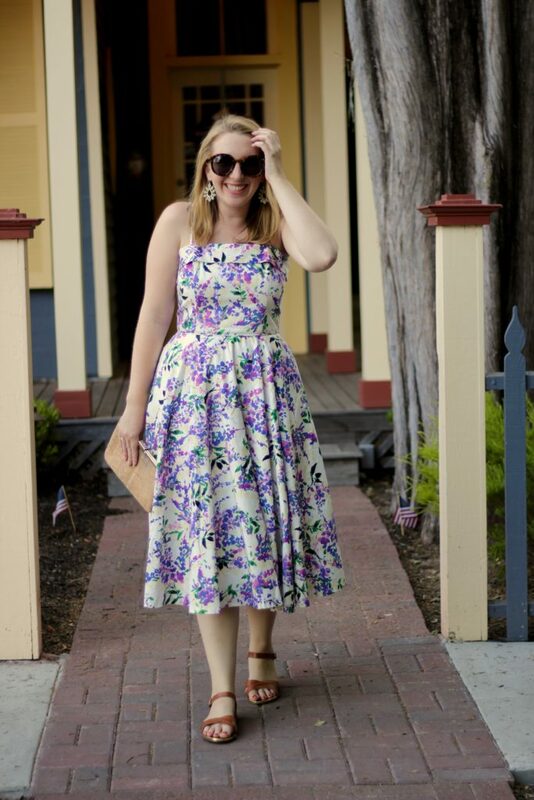 During my time in Napa, I stayed at the Brannan Cottage Inn in Calistoga. This boutique inn has only six rooms – making it the perfect spot to stay on a romantic getaway or to rent out for a girls’ getaway – and offers truly amazing individualized guest attention. During my stay, the Brannan Cottage Inn arranged the most amazing excursions for me and my friend. Coordinating with Luxury Electric Wine Tours, a local company that offers personalized tours (with a driver) using only all-electric vehicles, Brannan Cottage Inn sent us on the wine tour to end all wine tours. In a Tesla. So fun! After enjoying a lazy morning (complete with breakfast in bed! ), we were picked up, sparkling wine in hand, and shepherded over to Silver Trident Winery. Silver Trident was probably my favorite winery of the day. The tasting room is gorgeously designed (all Ralph Lauren!) and the sauvignon blanc and the rose were delicious. We then visited Quixote Winery, enjoyed lunch at Farmstead – home to what was quite possibly one of the best burgers I’ve ever had (pictured above) – and finished up our tasting at Del Dotto Vineyards (their cave tour is positively incredible). I so highly recommend reaching out to Luxury Electric Wine Tours on your next trip out to Napa… and definitely request Adam if you do a Tesla tour – he and his wife own the company and he knows Napa Valley like the back of his hand! On our second day, Brannan Cottage Inn arranged for us to go on a tasting and tour at Davis Estates. Oh my gosh. If you have an eye for interior design (or just like pretty things), I so highly recommend going. It was seriously the most gorgeous winery I’ve ever visited (and I’ve been to my fair share!). Really just par for course on this picturesque, gorgeous trip! 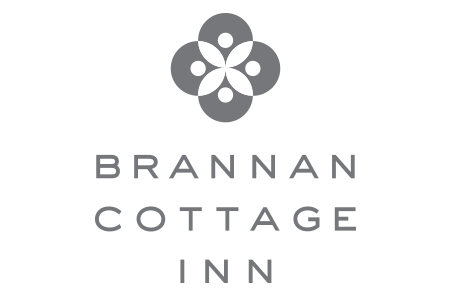 A BIG THANK YOU TO THE BRANNAN COTTAGE INN FOR SPONSORING THIS POST. ALL OPINIONS ARE MY OWN. Napa Valley is a 30-mile long destination with rich, undulating hillsides. Within it, more than 500 wineries squeeze out some of the world’s most acclaimed Cabernet Sauvignons, Chardonnays, Merlots, and Zinfandels. One of my recent favorite nooks within the region is Calistoga, a charming area known for its wines as much as for its geothermal hot springs and volcanic mud baths. Recently I discovered several reasons to fall in love with this spa haven town. There’s a single main drive for all of Calistoga, dotted with quirky shops, celebrated restaurants and small town gems. Toward the end of it, just a quarter mile away and tucked nonchalantly along a residential street, the bright Brannan Cottage Inn sits. Built by Calistoga founder and California’s first apparent millionaire, Samuel Brannan, the cottage is a National Register of Historic Places icon and has been meticulously restored to its Victorian-era glamour. There’s a magical magnetism to a place like Brannan Cottage Inn; maybe it’s the light yellow awnings, gingerbread scrollwork, massive oak tree or the grand piano from 1880 that rests in the main room. The inn, built in 1862, is undoubtedly adored by its current owners Amar Patel and his family, and is just one of three remaining cottages built by Brannan that still remains (the other 12 were destroyed). 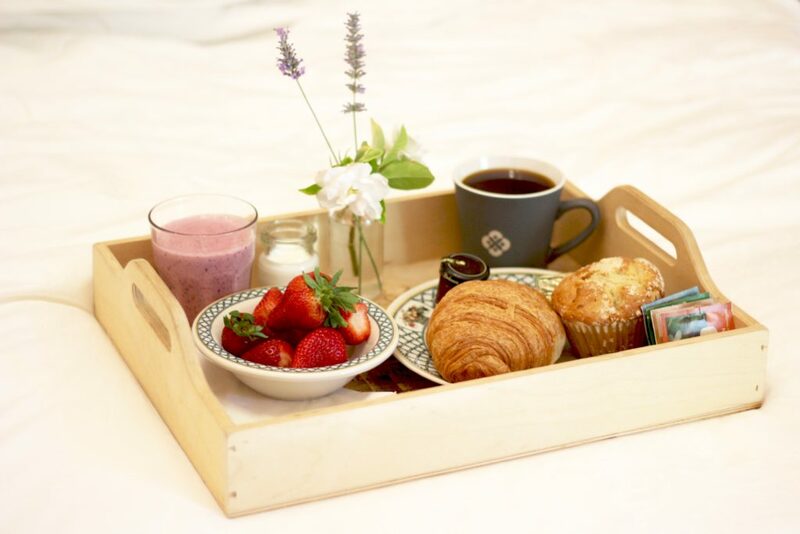 In addition to its timeless allure and excellent location just a few blocks from the main town area, the Inn’s daily continental breakfast with fresh pastries, smoothies and exotic teas is a morning treat. Eden, the head of marketing and the Inn’s resident concierge, makes sure every guest is well fed with additional treats. A must-do pastime in Calistoga is visiting the area’s 40 of so wineries, particularly by bike. Rentals are available at the Calistoga Bike Shop, which offers comprehensive options for casual tourists to ardent riders. The friendly staff, busy the morning I visited, quickly got me on the road with an easy to follow map to Bennett Lane Winery. Many wineries in the area are by appointment only, but Calistoga Bike Shop happily arranges most appointments, particularly for groups desiring a day’s worth of exploring. Bennett Lane Winery is an impressive stop not only for its 37 over 90-point wines from every coveted wine trade publication, but also for its “wine maker for a day” course. The hands-on experience allows guests the chance to bottle their own wines directly from the winery. After a morning of countryside biking and drinking, a hardy lunch was in order. Napa Valley’s world-acclaimed wines wouldn’t be as delectable without a renowned epicurean scene in which to savor them. 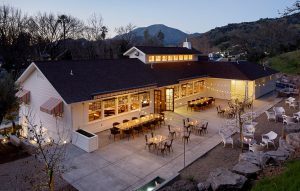 Thankfully, Calistoga has dozens of outstanding eateries, including Sam’s Social Club, named after the area’s founder. Half outdoors, half indoors, the restaurant maintains a farm-fancy aesthetic common in the Valley with a massive fire pit, hand laid stonewall, and gleaming white wood paneling. Portions are generous and filling, laden with ingredients hand-picked or grown less than a few miles away in true Napa style. A post lunch activity ideal in the warm afternoon sun is Spa Solage, the signature 20,000-square-foot spa destination of Solage Calistoga. 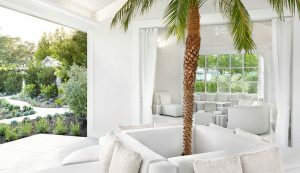 The all-white décor, manicured landscapes of lavender and topiaries, and idyllic pool give a heavenly essence to Spa Solage. It’s easy to spend an entire afternoon at the spa, suspended in a dreamy state. The spa’s most popular treatment, the Solage Signature Mudslide, is a three-part experience that unwinds and restores bodies with the area’s natural spring waters and minerals. The one-hour treatment starts at the mud bar where an attendant mixes a custom essential oil infused mud bowl. Once caked in the mud, applied either by an attendant or a companion, you’ll be escorted to the mud lounge, otherwise referred to as a massive dry sauna with fitted showers, where the mud dries and tightens the skin. The waters portion of the treatment is a blissful soak in a private tub, filled with geo-thermal mineral waters. The crowning third part, and honestly my favorite post-bike excursion, was a sonic nap in vibrating zero-gravity chairs. Though it took quite some effort to peel myself off the pool chaise at Spa Solage after an afternoon of lounging, I was pleased to make it to Evangeline, a quaint French Creole style bistro less than a mile from the spa. Seating is best outdoors amid the orange trees and vintage strung lights. The restaurant is relatively new, but has the congenial warmth and hospitality of a beloved local’s spot. 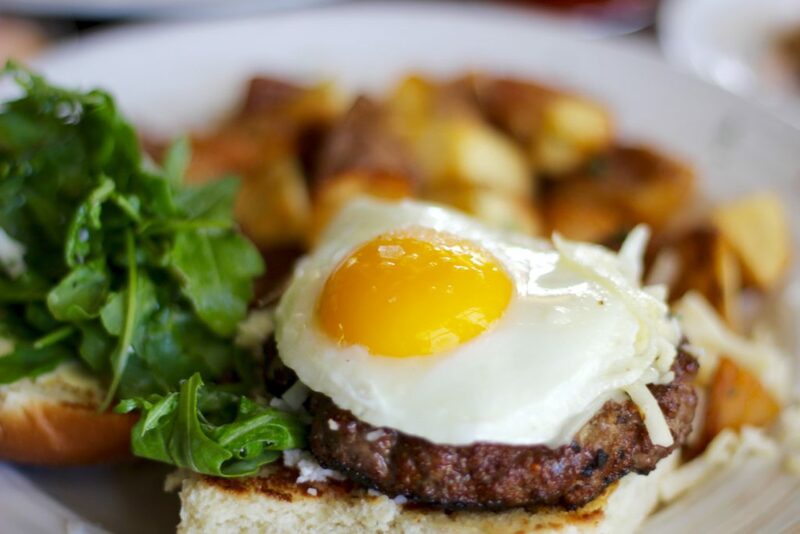 Executive Chef Gustavo Rios doesn’t miss with Evangeline’s all-star French classics, from the brunch’s croque madame to dinner’s succulent foie gras. Unsurprisingly, Rios trained under one of the Valley’s most lauded celebrity chefs, Thomas Keller at Bouchon Bistro. Calistoga, Napa Valley’s nook in the North, is reason enough to make an entire trip whether for epicurean exploration, wine tasting or spa-soaked sojourns. All of us on our small but mighty hospitality team feel like we have it easy, given where we are and what we have to work with. This 1860 Inn is a gem of an historic landmark with a fascinating story to tell, and it’s been reborn with taste, style and imagination thanks to our visionary owners. Our handpicked culinary, wine, spa and tour partners throughout the Napa Valley are an extension of our guest experience. We take great delight in connecting you, our guests, with those true wow wine tasting discoveries you can’t wait to tell friends about, or set you up at a restaurant that’s the perfect blend of setting, service and knock-your-socks off food. It’s all here in this stunningly beautiful and generous place. We’re happy to share a fresh crop of riches with you, every time you visit. Jazz Age meets Victorian elegance in this vintage wedding inspiration shoot at Brannan Cottage Inn, featured on the wedding style blog ChicVintageBrides.com. (How jazzed are we?!? Very!!) Floral designer Tina Chiotti-Stewart of Calistoga In Bloom proposed this 1920’s Art Deco styled wedding shoot inspired by Miss Fisher’s Murder Mysteries, with our historic Inn as the backdrop. The shoot’s stylist Tenae Stewart doubles as our stunning redhead model-bride for inspired photographer Bob Ryder. 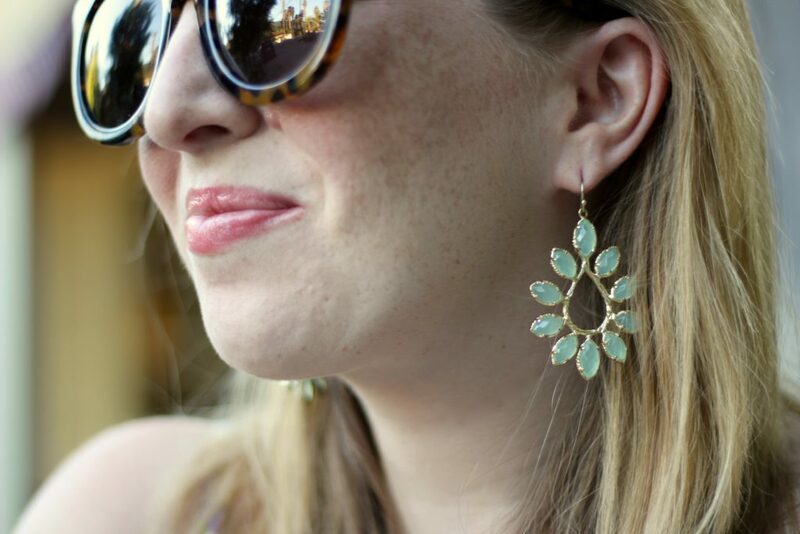 Be sure to check out the entire shoot…. the results are stunning. Planning your own wine country wedding? 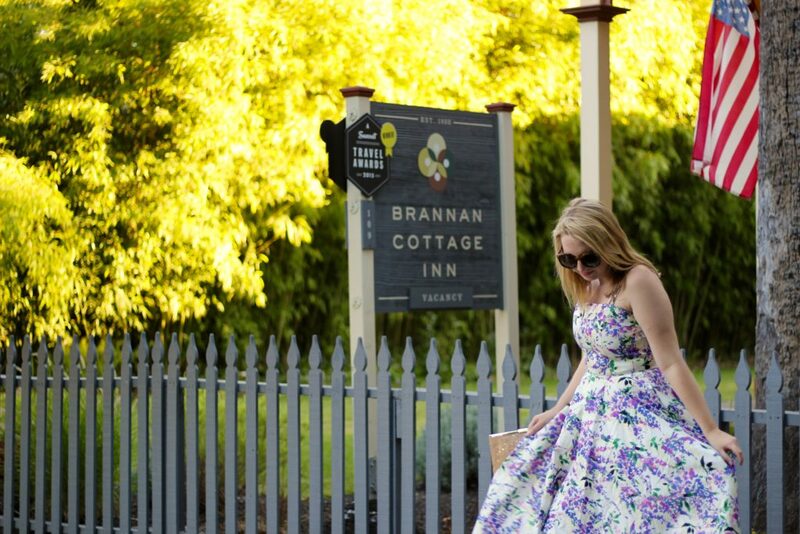 Brannan Cottage Inn is a uniquely romantic spot for an intimate elopement, honeymoon or proposal. Explore our all-inclusive elopement packages with Napa Valley Elopements and Calistoga In Bloom floral design; up to six guests can join the wedding couple for their unforgettable event. Our distinctive 1860 Victorian, built by Calistoga’s founder Sam Brannan, is a significant part of Napa Valley history. 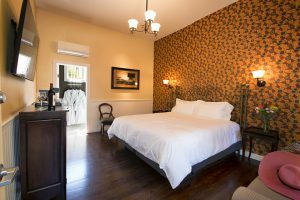 Once one of 25 cottages on the landmark hot springs resort which put Calistoga on the map, this National Register of Historic Places icon has been stylishly renovated as a modern luxury boutique hotel. 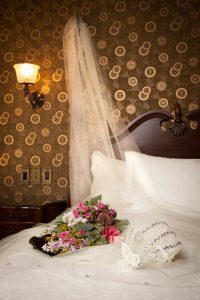 Accolades include Sunset’s 2015 Travel Award for Best Hotel Renovation of the West; USA Today named us one of the 10 Best Romantic Places to Stay in Napa Valley, and Brides.com called Brannan Cottage Inn one of the Best Napa Valley Hotels for Honeymooners. We can’t wait to welcome you for a romantic stay at any time of year. Call us at 707-942-4200 or email us to book your visit. 2015 was a very good year! Our small but mighty Brannan Cottage Inn hospitality team was lucky enough to welcome thousands of guests from all over the world, help pull off some romantic surprises for engagements, anniversaries and significant birthday parties, and host some heavy-hitting media VIP’s. We’re incredibly proud to share these milestones and accolades with you. 3. Smithsonian’s 20 Best Small Towns to Visit in 2015 – check out #7! We look forward to welcoming you in 2016, whether it’s a first stay or you’re one of our beloved regulars. Call us at 707-942-4200 to book your stay, or go to brannancottageinn.com to check availability. With just 6 rooms, we book up quickly. Happy New Year! For Cyber Monday, luxury hotels and resorts are offering limited time deals on their best activities and rooms. From getting up close and personal with a rhinoceros in South Africa to lounging on a Caribbean beach to custom blending wines in Napa Valley, below are the best offers available this Cyber Monday. Napa Valley may be one of the premier wine regions on the planet, but Calistoga has no hint of the haute tourist scene you’ll find elsewhere in this bucolic region of California. Instead, it retains its small-town charm. Kids ride bikes to an ice cream shop that sells decades-old baseball cards, and old-timers sidle into the cheery Café Sarafornia to swap tales about the grape harvest. Shop name changes aside, the town is much as it was after Samuel Brannan, who had made a fortune during the Gold Rush, capitalized on the area’s mineral hot springs, bringing tourism to the northern lip of this fertile valley. The tab: $500 for two nights at Brannan Cottage Inn, $35 for breakfast at Café Sarafornia, $110 for dinner for two at the Calistoga Inn and $165 for massages and pool access at Indian Springs Resort. The historic Brannan Cottage Inn (109 Wappo Ave., Calistoga;  942-4200,www.brannancottageinn.com), built by Brannan, recently reopened after a renovation. The 154-year-old Italianate Victorian (listed on the National Register of Historic Places) still showcases a wide wrap-around porch overlooking the garden’s massive palm tree (planted in 1878), but also has tech-friendly rooms and radiant-heated bathrooms floors. Breakfasts are spare — local pastries and coffee from Yo el Rey Roasting — and best enjoyed while a guest plays the lobby’s antique grand piano. In December, for each reservation for its Warm & Fuzzy package, the inn will make a $20 donation to the Valley Fire Relief Fund, which aids neighbors affected by September’s devastating wildfire, the third worst in state history. www.cafesarafornia.com) values simplicity. Buster’s Southern Barbecue (1207 Foothill Blvd., Calistoga;  942-5605, www.busterssouthernbbq.com) pumps out spicy meats at affordable prices for quick lunches. The grandmother of the town’s dining scene is the Calistoga Inn (1250 Lincoln Ave., Calistoga;  942-4101,www.calistogainn.com/restaurant.html). Dine along the Napa River while musicians strum guitars under the patio lights. Dishes include classics such as a pork porterhouse paired with corn and mushroom risotto, house-made gnocchi, Caesar salad and garlic-crusted calamari. But the real treat, after a day of sampling wines, is the tasting menu at its on-site brewery. Wine tasting doesn’t have to be fancy. Although you must reserve in advance to visit the 35-year-old Vincent Arroyo Winery (2361 Greenwood Ave., Calistoga;  942-6995,www.vincentarroyo.com), we didn’t have to pay a hefty tasting fee to sip its famed Petite Sirah and Port, or chill in a rocking chair and gaze at the vineyards. At its core, Napa Valley is a simple farming community.